Looking for ideas? You’ve come to the right place! 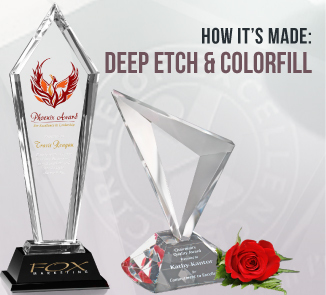 Create “The WOW Effect”™ with a beautifully deep etched and colorfilled crystal award. 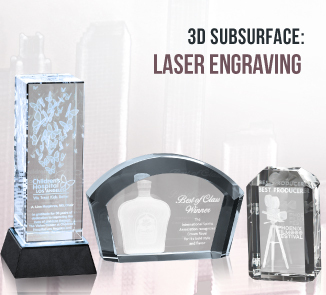 Learn how we make these awards look spectacular! What if you could recreate an image inside crystal? What if the only limitation was your imagination? 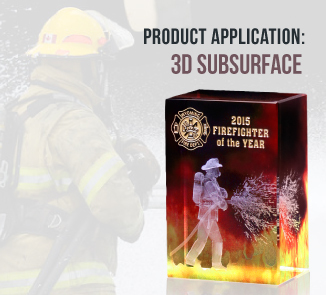 Check out how we get an image inside a crystal award or gift. 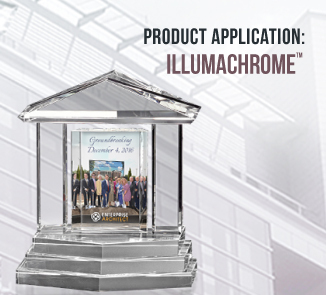 Create a long-lasting memory with an Illumachrome™ award or gift. Learn about the process here! Please, Not Another Wall Plaque! The Wyoming Fire Department wanted to revamp their awards program and give their award recipients something other than a traditional wall plaque. See how we were able to help them create something amazing. 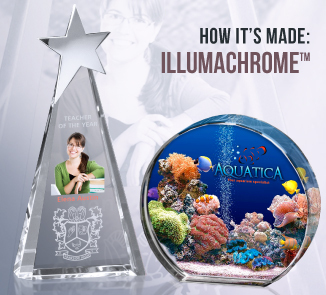 Add color to a crystal award or gift using our Illumachrome™ imprint process. 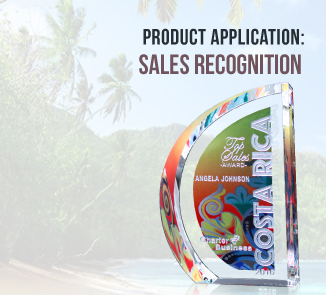 Check out some spectacular 4-color awards and gifts. Tired of the same old plaque year after year? 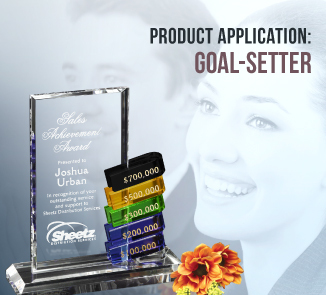 Switch your award to a goal-setter, a sparkling alternative to that plaque in the lobby of your building. Combining multiple imprints allows you to create an incredible piece of art. 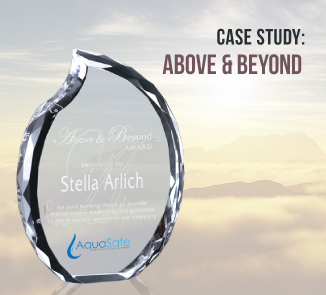 See how a luxury automobile company did that with a crystal award. Top salespeople were given an all-expense-paid trip to Costa Rica because they helped meet a lofty sales goal. But the company wanted to give them a lasting reminder of their accomplishment as well. See what these salespeople were presented with! 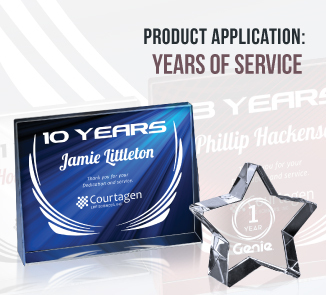 A years of service award program is the perfect way to show your employees how much you appreciate their hard work and dedication to the company. Check out how you can create your own years of service program. Retirement is a huge accomplishment and should be celebrated with a meaningful award. 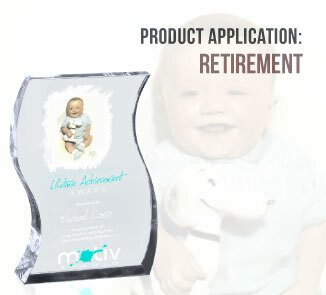 Take a look at how we turned old pictures into stunning awards that any retiree would cherish. Your relationships with your dealers and partners are important. See how you can reward their partnership for sales, loyalty, and excellence. When your employee goes above and beyond, they deserve an award for providing exemplary service. Take a look at how one company rewarded their employees for going above and beyond. Recognizing your customers “just because” ensures they will feel important and valued. 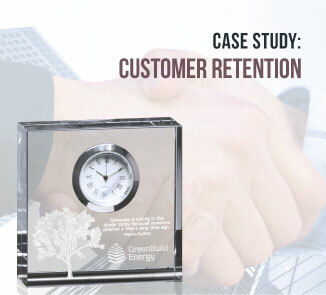 Check out a few tokens of appreciation that your customers will love. 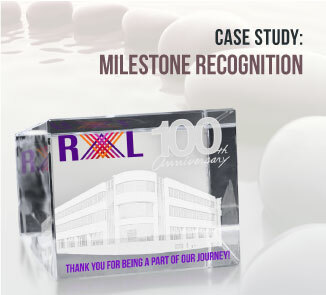 Commemorate a major company milestone with a crystal gift for each employee. Learn how one company celebrated their 100th anniversary with their employees. 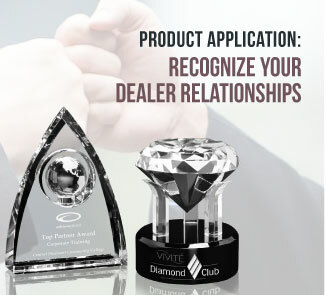 Develop a stronger relationship with your customers with crystal gifts. 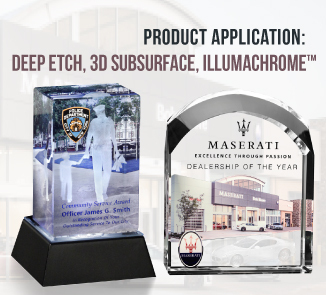 Take a look at some of the awards you can offer your VIP customers. A multi-location company established a quarterly sales recognition program. 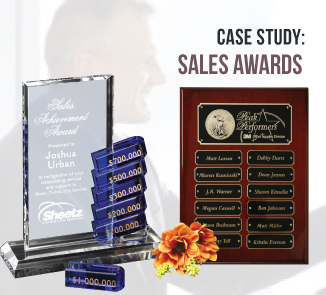 See how this program helped meet their sales quota!